You stare down at your to-do list and sigh. Today alone you still have 3 projects due for school, have to pick up your children and take them to soccer practice, go grocery shopping, cook dinner, and try to fit doing a load of laundry in there. There just isn’t enough time in one day. You start banging your head on your desk, the stress looming over you like a blanket and you feel the burn out coming on. Instead of becoming overwhelmed, you should just embrace it. You’ll be more productive that way. We know that it’s easier said than practiced. Keep reading for a few tips on how to handle stressful situations in your life. When you're stressed, chances are that the source is one big thing that's causing all the little things to seem way more overwhelming than they actually are. The first step for managing your stress is to find this major source. If you have a huge meeting with executives at work, your kid's soccer game, and getting groceries the huge stressor is probably the meeting. If you make a plan for handling it, then the other two things won't seem as bad. If you feel like you never stop working then, of course, you're going to be stressed. So, as bad as this is about to sound, you should adopt a "not my shift, not my problem" sort of attitude. This just means you're going to set a few boundaries. A good example, your co-workers tend to call and ask you questions instead of the manager so even if you're not at work you're picking up your phone to answer questions all day. What would happen if you just didn't pick up? You can also adopt a policy of not answering emails in the evening because that's your downtime. You'll be a lot less stressed this way. Regular exercise doesn't just benefit your body, it benefits your mind as well. It gets your heart pumping and pulls your thoughts away from stress at the very least. You have to do it regularly for you go reap the rewards though. You should at least exercise 5 times a day for up to thirty minutes. When things start going downhill you may blame yourself which puts a lot of stress on you. The truth of the matter is most of the time you truly can't control the outcome of a situation. For example, you can't control how your boss will react to something, or what shift that they schedule you for, but you can control how you react and the things that you do within the time you're given. So when something stresses you out, think about how you can control the situation so at least if things go downhill, you know you did everything you could to stop it. Many people feel like if they aren't working then they aren't using their time wisely. This will cause you to inevitably never take time for yourself. If you don't take a little time to relax, you'll either become cranky or burn out. So, set aside some time each evening to watch TV, play with your kid, throw a ball with your dog, or read a book while drinking your favorite tea. You'll be glad you did. You hold a lot of tension in your muscles and it shows in your posture. There are ways for you to reset your body in a sense. For example, do a few stretches at your desk or head down the hall and stretch at the water fountain if you don't want to draw attention to yourself. Getting a good night's sleep also helps with this, or just taking a hot shower at the end of a tough day. It's easy to handle your stress levels if you take a break from your stressors to do something you love. This is a little different than taking time for yourself at the end of the night. This is picking up your hobby. Say that you love painting but you haven't done it since high school because you just never give yourself time for it anymore. Head to the craft store, pick up supplies, go to town on a canvas, and tell us how you feel after. Taking a moment to do a few deep breathing exercises can calm you down from just about anything that's stressing you. Sit in a comfortable position at your desk and close your eyes. Put yourself in your own personal happy place and breath deeply in and out for about ten minutes. Obviously, it's hard to put yourself in your happy place and breath deeply while you're in a work meeting. Everyone will look at you like you're crazy and you won't be able to pay attention to what's going on. To this end, you need to come up with different relaxation techniques for each situation that you find yourself in throughout your day. For instance, caffeine makes you jumpy so maybe skip out on coffee the morning before the big work meeting. Like with exercise, if you eat well you'll feel better about yourself. Having a balanced diet not only puts you in a better head space but it also gives you more energy and helps you concentrate. Make sure you don't skip meals because this will only make you stressed out and grouchy. There are times in life when you feel like you're being pelted by stressful situations one after another with no time to breath. Instead of being overwhelmed, find ways to deal with it in healthy ways. Use these tips on how to handle stressful situations to keep control of your life. College can be stressful but we can help you out with it. 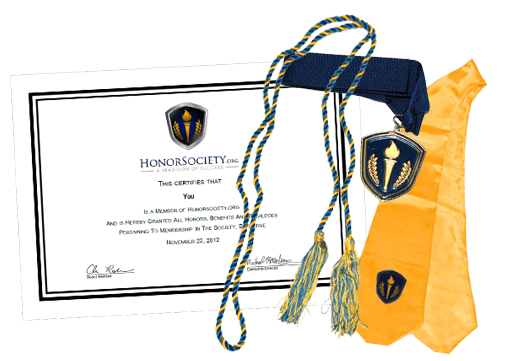 Check out all the benefits that you'll receive from an Honor Society membership. David Thompson: My Member Spotlight Scholarship!